Last month I was hired by MKB Solicitors LLP to be their corporate magician at their magnificent venue of Barnsley Town Hall for their company’s 50th Birthday. During this time they had arrival drinks, canapés, speeches and of course: me as their corporate magician to spice things up a little! 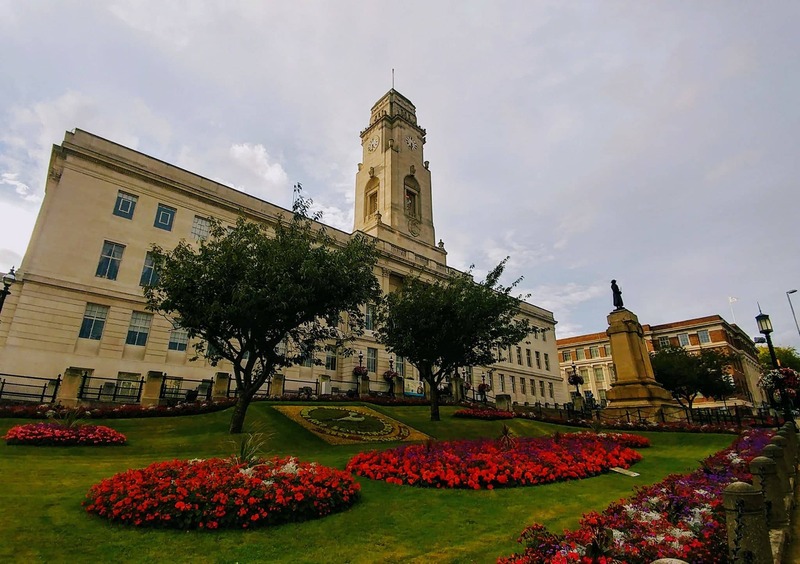 I was only booked for 1 hour, but it wasn’t a huge crowd, so after the speeches were over and I’d occupied myself by noseying around the fascinating display pieces in Barnsley Town Hall I stepped into perform some my corporate magic. During my performance I had the guests involved with magic happening in their own hands using playing cards – making their signed cards disappear and reappear inside my zipped up wallet, bending peoples own signed coins, turning their £10 notes into £50 notes right in front of them and generally ensuring the guests all had a good laugh and something a bit different for their company corporate party entertainment. I even had the pleasure of meeting and baffling the Lord Mayor and Lady Mayoress of Barnsley! Didn’t make their £250,000 gold chains disappear though, promise. 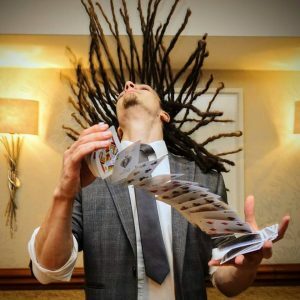 A corporate magician is a fantastic idea to spice up a networking drinks reception, or company anniversary like this! Please get in touch to discuss how I can help your next event, whether you need a corporate magician in South Yorkshire or anywhere else. Hey, I'm Oliver - magic, breakdance, drumming, climbing, travel, adventure... those are just some of the words I know.